Lord Jesus Christ is the most formal title for Jesus (Yeshua‘). 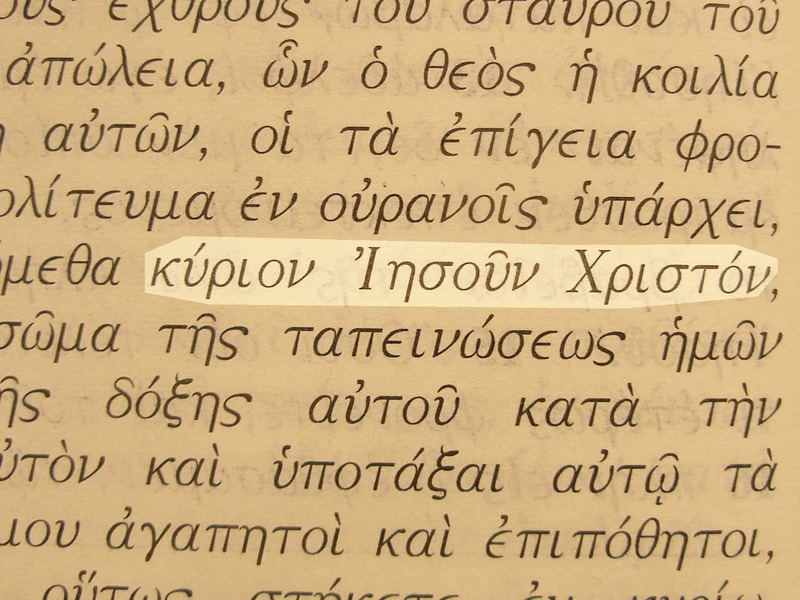 It occurs often in the introductions and endings of the New Testament letters. The word “Lord” has a wide range of uses. It can be a simple respectful “Sir” or a more formal, “Master.” But the New Testament also uses “Lord” of God. The word “Christ” is the anglicized form of the Greek word meaning “anointed one” or “Messiah.” “Lord Jesus Christ” reminds us that Jesus is both the promised Messiah and our God. 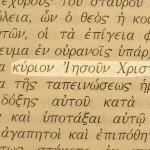 Lord Jesus Christ in the Greek text of Phil. 3:20. Bible references: Phil. 3:20 is just one example out of 63 occurrences in the New Testament. A longer version of the same name of Jesus is Glorious Lord Jesus Christ.